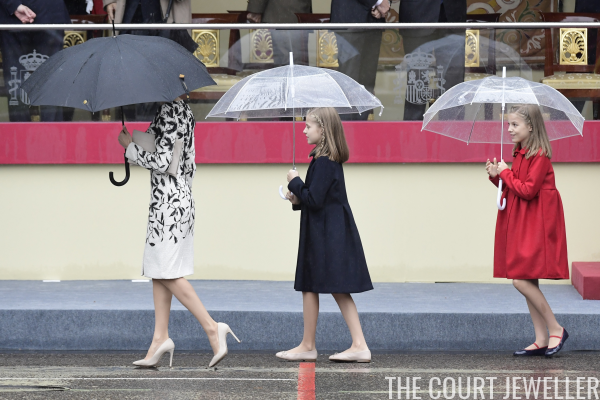 With her elegant black and white coat, Letizia wore her diamond and Australian pearl drop earrings. The earrings were her only visible jewelry for the occasion. 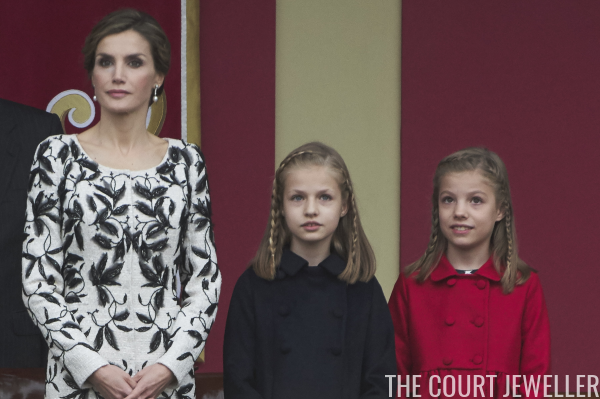 Letizia's had these earrings for some time; one of their most important outings was their pairing with her pearl and diamond Ansorena tiara. 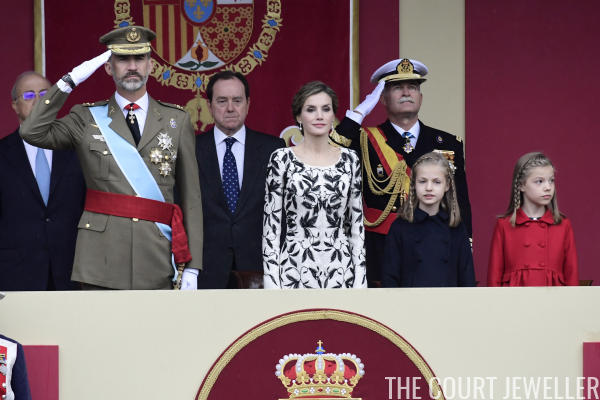 Here's another look at Letizia's jewelry and outfit, this time from Zarzuela Palace later the same day.